This policy brief discusses various interventions in early childhood education, juvenile justice, and community investment that have been demonstrated to be effective in reducing crime. Mass incarceration has resulted from a great imbalance in our national approach to public safety, one that relies far too heavily on the criminal justice system. This has produced excessive levels of punishment and a diversion of resources from investments that could strengthen the capacity of families and communities to address the circumstances that contribute to crime. Research has demonstrated that many social interventions are more cost-effective in producing better public safety outcomes than expanded incarceration. The initiatives described below present a sampling of such interventions in early childhood education, juvenile justice, and community investment that have been demonstrated to be effective in reducing crime. This listing is far from exhaustive, but suggests that there is considerable opportunity to expand on programs that hold the potential to produce savings by avoiding future law enforcement and correctional costs. Research has demonstrated the opportunity for prevention with at-risk pregnant teens or with at-risk children in early childhood. A strong program in this category is the Nurse Family Partnership (NFP), a home visitation program that trains and supervises registered nurses as home visitors. The initiative attempts to identify young, first-time mothers early in their pregnancy. The sequence of approximately 20 home visits begins in the prenatal period and continues over the first two years of a child’s life and then decreases in frequency. A 15-year review of the Prenatal/Early Infancy Project in Elmira, New York found that nurse home visits significantly reduced child abuse and neglect in participating families, as well as arrest rates for children and their mothers. The NFP has been successfully evaluated in several sites and has been replicated in over 200 counties and many foreign countries.1)Greenwood, Peter W. and Turner, Susan “Juvenile Crime and Juvenile Justice,” Crime and Public Policy. 2011. Oxford University Press. New York, NY. Pg. 88-129. Preschool education for at-risk three and four year olds is also an effective prevention strategy. The most well known model model — the High/Scope Perry Preschool Project2)Parks, Gregory “The High/Scope Perry Preschool Project,” Juvenile Justice Bulletin. Office of Juvenile Justice and Delinquency Prevention. Washington, DC. (October 2000). — demonstrates that Head Start and other preschool programs produce both short-term and long-term benefits. This includes reduced engagement with the criminal justice system through the age of 27, along with positive school outcomes and reduced need for social services. Cost-benefit analyses conducted by the RAND Corporation show that every $1 invested in such programs produces $7.16 in societal savings. When adjusted for inflation and a 3-percent discount rate, the investment in the Perry program’s early childhood prevention initiative resulted in a taxpayer return of $88,433 per child.3)Greenwood, Peter W. and Turner, Susan “Juvenile Crime and Juvenile Justice,” Crime and Public Policy. 2011. Oxford University Press. New York, NY. Pg. 88-129. Every dollar invested in preschool education programs produces $7.16 in societal savings. A primary measure of the juvenile justice system is its effectiveness in protecting youth who come before it and reducing the likelihood of their committing future offenses. In recent years, progress has been made in measuring the effectiveness of a variety of programs and strategies for intervening with criminal justice involved youth. Evidence based research provides the strongest support for school and community-based interventions in lieu of residential placement. Research shows that programs prioritizing family interactions are the most successful, probably because they focus on providing skills to the adults who are in the best position to impact the child’s behavior. Examples for youth on probation include Functional Family Therapy (FFT) and Multi-Systemic Therapy (MST). FFT works with youth ages 11-18 who have been engaged with delinquency, substance abuse, or violence. The program focuses on altering interactions between family members, and seeks to improve the functioning of the family unit by strengthening problem-solving skills, enhancing emotional connections among family members, and addressing the ability of parents to provide structure, guidance, and boundaries for their children. The effectiveness of the program has been demonstrated for a wide range of at-risk youth in various trials over the last 25 years. The trials have evaluated different types of therapists who range in experience level from paraprofessionals to trainees.4)Greenwood, Peter W. and Turner, Susan “Juvenile Crime and Juvenile Justice,” Crime and Public Policy. 2011. Oxford University Press. New York, NY. Pg. 88-129. A meta-analysis of eight FFT evaluation found that the initiative has produced statistically significant reductions in recidivism, out-of-home placement, or subsequent sibling referral. These studies have included follow-up periods from six months to three years, with one study involving a five year follow-up period (arrest rate as an adult for FFT treated youth was 9 percent compared to a 41 percent rate for alternative treatment).5)Aos, S., Lee, S., Drake, E., Pennucci, A., Klima, T., Miller, M., Anderson, L., Mayfield, J., & Burley, M. (July, 2011). Return on Investment: Evidence-Based Options to Improve Statewide Outcomes (Document No. 11-07-1201A). Olympia: Washington State Institute for Public Policy. MST is also a family based program focused on helping parents deal effectively with their child’s behavior problems, including addressing the negative effects of peer influence and poor school performance. The MST program attempts to involve family members charged with supervising the youth in addition to teachers, school administrators and other adults who may interact with the child. Evaluations of the program indicate that the therapy is effective in reducing re-arrest rates and out of home placements for a wide variety of youth in the juvenile and child welfare systems.6)Greenwood, Peter W. and Turner, Susan “Juvenile Crime and Juvenile Justice,” Crime and Public Policy. 2011. Oxford University Press. New York, NY. Pg. 88-129. Findings from several studies have found that MST can produce short- and long-term reductions in criminal behavior and out-of-home placements for serious juvenile offenders. For example, a study of MST programs in South Carolina found that youth participating in the therapy were rearrested at half the rate as youth receiving the usual services.7)Henggeler, S. W., Melton, G. B., Brondino, M. J., Scherer, D. G., & Hanley, J. H. (1997). “Multisystemic therapy with violent and chronic juvenile offenders and their families: The role of treatment fidelity in successful dissemination.” Journal of Consulting and Clinical Psychology, 65, 821-33. A Missouri study found that at an average of 21.9 years post-treatment, MST participants compared to control counterparts were less likely to be arrested, had fewer arrests and fewer days in confinement.8)Sawyer AM. And Borduin CM., “Effects of multisystemic therapy through midlife: a 21.9-year followup-up to a randomized clinical trial with serious and violent juvenile offenders.” Journal of Consulting and Clinical Psychology. 2011 Oct; 79(5): 643-52. Research has demonstrated that a community-level approach can be effective at preventing crime in urban neighborhoods. Addressing the community-level perspective also acknowledges that federal, state, and local government policies not directly concerned with crime may nonetheless bear indirectly on crime rates through their impact on neighborhood structures.9)Sampson, Robert. J “The Community,” Crime and Public Policy. 20011. Oxford University Press. New York, NY. Pg. 88-129. Studies have shown that organizational participation and informal social control mechanisms can address criminal violence at the neighborhood level. A social process study conducted in Baltimore found that respondents who belonged to an organization to which co-residents also belonged felt responsible for what happened in the area surrounding their home.10)Taylor, Ralph B., Stephen D. Gottfredson, and Sidney Brower. 1984. “Block Crime and Fear: Defensible Space, Local Social tis, and Territorial Functioning.” Journal of Research in Crime and Delinquency 21: 303-331. Similarly, a survey of over 500 residents in New York City found that strong participation of local residents in neighborhood organizations reduced delinquency.11)Simcha-Fagan, O. and J.E. Schwartz. 1986. “Neighborhood and Delinquency: An Assessment of Contextual Effects.” Criminology 24.: 667-703. Community participation can help in supervising and monitoring teenage peer groups through social networks that facilitate adult and youth interaction. Specifically, when friendship networks among parents observe the actions of their children’s friends, adults have the opportunity to monitor a child’s actions in different circumstances and provide parental feedback that establishes community norms. Strengthening parental relationships can serve to reinforce positive youth outcomes found in communities with dense or overlapping social networks that assume a shared responsibility for supervising young people.12)Coleman, James S. 1988. “Social Capital in the Creation of Human Capital.” American Journal of Sociology 94: S95-120. In recent years, after a decades-long surge in the nation’s prison population, modest declines are occurring nationally. Various state legislatures have reformed sentencing laws that reduce incarceration of persons convicted of certain offenses. From 2011 to 2012, 17 states closed some of their correctional facilities. These reductions in the use of incarceration have not had an adverse effect on the sustained period of lowered crime since the mid-1990s; the violent crime rate is now only about half of what it was 20 years ago.13)Federal Bureau of Investigation (2013). Crime in the United States: 2011. Table 1: Crime in the United States by Volume and Rate Per 100,000 Inhabitants, 1992-2011. Washington, DC: FBI. The violent crime rate in 1992 was 757.7 per 100,000 and was 386.3 per 100,000 in 2011. The reality that states have been able to close prisons offers an opening to assess the prospects for reducing the scale of incarceration and addressing the imbalance in the nation’s approach to public safety. Reducing prison capacity may result in the avoidance of state expenditures for correctional purposes and offers an opportunity to leverage public resources towards services proven to reduce crime. The public will benefit from a strategy that uses evidence-based practices to strengthen early childhood education, alternatives to juvenile incarceration, and community investment. 1, 3, 4, 6. ↑ Greenwood, Peter W. and Turner, Susan “Juvenile Crime and Juvenile Justice,” Crime and Public Policy. 2011. Oxford University Press. New York, NY. Pg. 88-129. 2. ↑ Parks, Gregory “The High/Scope Perry Preschool Project,” Juvenile Justice Bulletin. Office of Juvenile Justice and Delinquency Prevention. Washington, DC. (October 2000). 5. ↑ Aos, S., Lee, S., Drake, E., Pennucci, A., Klima, T., Miller, M., Anderson, L., Mayfield, J., & Burley, M. (July, 2011). Return on Investment: Evidence-Based Options to Improve Statewide Outcomes (Document No. 11-07-1201A). Olympia: Washington State Institute for Public Policy. 7. ↑ Henggeler, S. W., Melton, G. B., Brondino, M. J., Scherer, D. G., & Hanley, J. H. (1997). “Multisystemic therapy with violent and chronic juvenile offenders and their families: The role of treatment fidelity in successful dissemination.” Journal of Consulting and Clinical Psychology, 65, 821-33. 8. ↑ Sawyer AM. And Borduin CM., “Effects of multisystemic therapy through midlife: a 21.9-year followup-up to a randomized clinical trial with serious and violent juvenile offenders.” Journal of Consulting and Clinical Psychology. 2011 Oct; 79(5): 643-52. 9. ↑ Sampson, Robert. J “The Community,” Crime and Public Policy. 20011. Oxford University Press. New York, NY. Pg. 88-129. 10. ↑ Taylor, Ralph B., Stephen D. Gottfredson, and Sidney Brower. 1984. “Block Crime and Fear: Defensible Space, Local Social tis, and Territorial Functioning.” Journal of Research in Crime and Delinquency 21: 303-331. 11. ↑ Simcha-Fagan, O. and J.E. Schwartz. 1986. “Neighborhood and Delinquency: An Assessment of Contextual Effects.” Criminology 24.: 667-703. 12. ↑ Coleman, James S. 1988. “Social Capital in the Creation of Human Capital.” American Journal of Sociology 94: S95-120. 13. ↑ Federal Bureau of Investigation (2013). 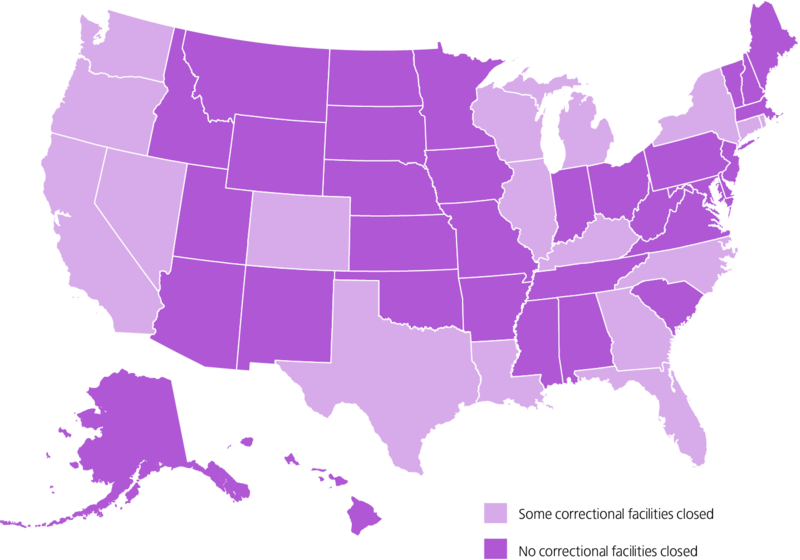 Crime in the United States: 2011. Table 1: Crime in the United States by Volume and Rate Per 100,000 Inhabitants, 1992-2011. Washington, DC: FBI. The violent crime rate in 1992 was 757.7 per 100,000 and was 386.3 per 100,000 in 2011.